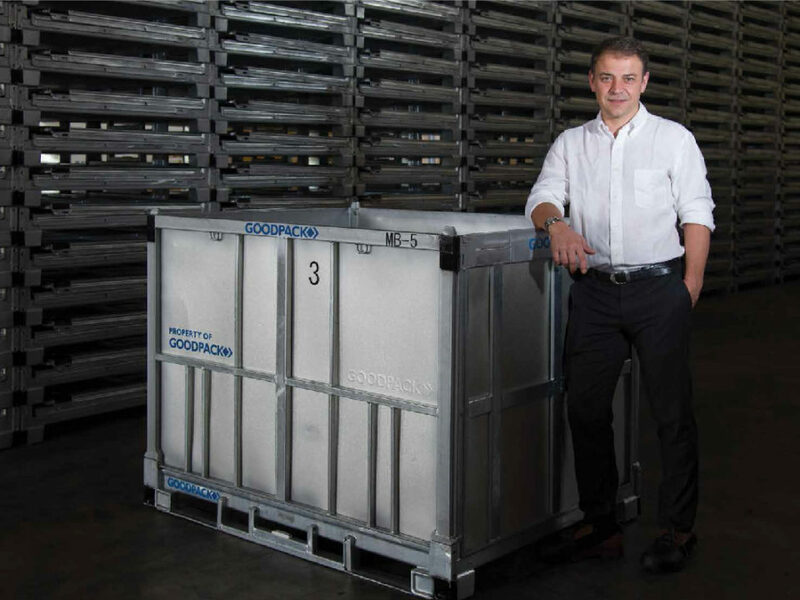 With the strength of steel construction and patented flexibility of design, Goodpack containers offer packaging, transport and storage solutions to companies entrusted with safely delivering food and liquid products around the world. 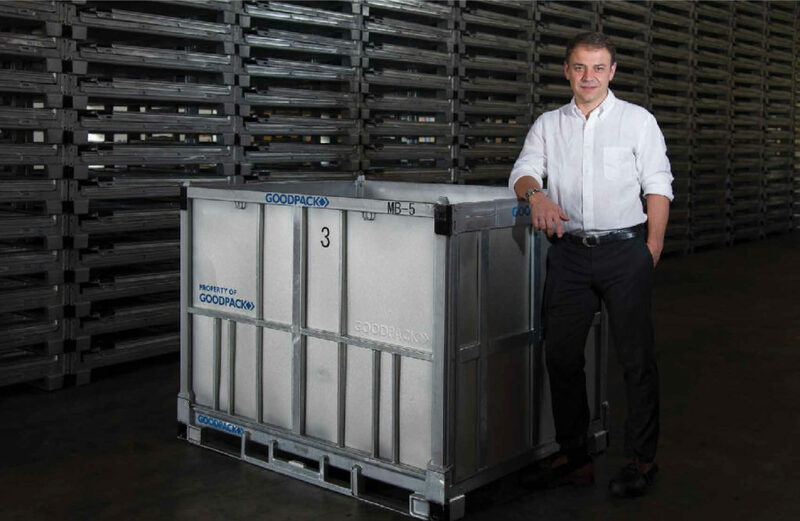 Today, Goodpack’s galvanized steel containers are helping global producers achieve HACCP by eliminating wood contamination and offering both aseptic and non-aseptic internal bagging options. 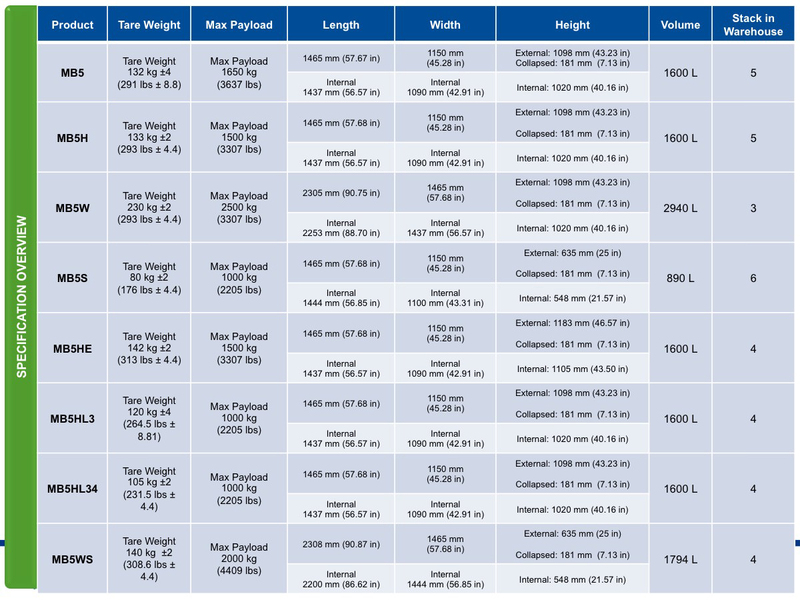 They are also functional in wet wash-down environments, and help customers meet certain environmental standards, such as ISPM 15 and ISO 14000. Goodpack containers have a large, 1.65 MT/1,500 liter capacity and can be fitted with a hygienic food-grade barrier or non-barrier plastic bladder. During unpacking, the IBCs can be rotated to empty the product; or the top of the bag can be cut open, allowing product to be pumped from the top, making them perfect for juices, concentrates and other food products. Goodpack containers are ideal for a wide range of food products, including aseptic tomato paste, aseptic diced tomatoes, aseptic banana puree, single-strength orange juice, etc. The new GOODPACK TomatoCube™ maximizes efficiency and volume for the most cost-effective and sustainable approach to transporting product. The TomatoCube™ has the flexibility of design to be used for a wide range of aseptic products, including diced tomato, tomato paste and tomato juice and juice concentrate. 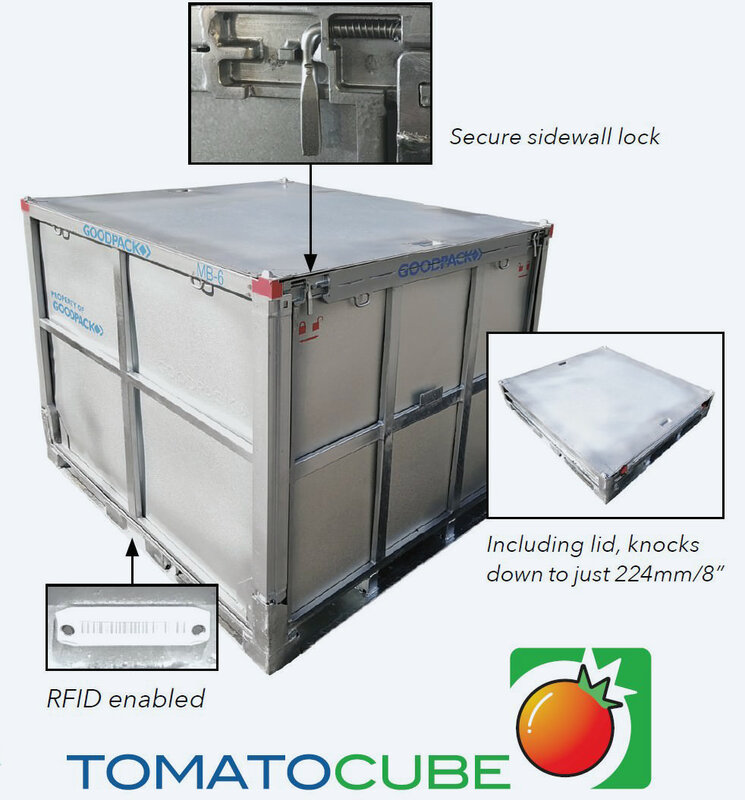 Easily integrated into a customer’s supply chain, the TomatoCube™ features four-way entry for easy forklift handling. It can stack five units high (laden/filled with product) and is suitable for shipping in both 20' and 40' dry and refrigerated containers. The TomatoCube™ collapses in seconds to save on labor costs. Compared to other conventional containers and drums, returnable the GOODPACK TomatoCube™ has the lowest environmental impact and lowest carbon footprint, which makes it a truly superior packaging solution. Goodpack containers offer effective solutions for food-industry customers looking to ship products anywhere in the world. We have operations in 77 countries. Goodpack makes renting easy by delivering, collecting and managing the entire rental process. 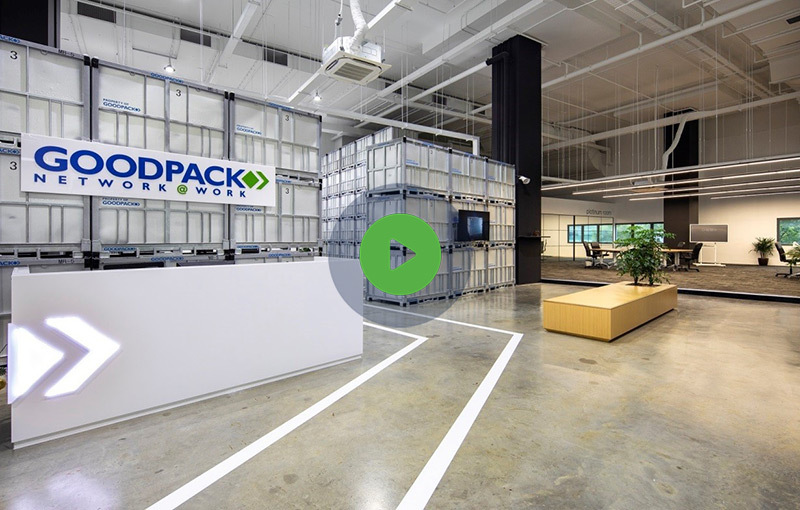 The Goodpack rental system is perfect for managing volume fluctuations during season and enables a global logistics, transportation and supply chain ecosystem.